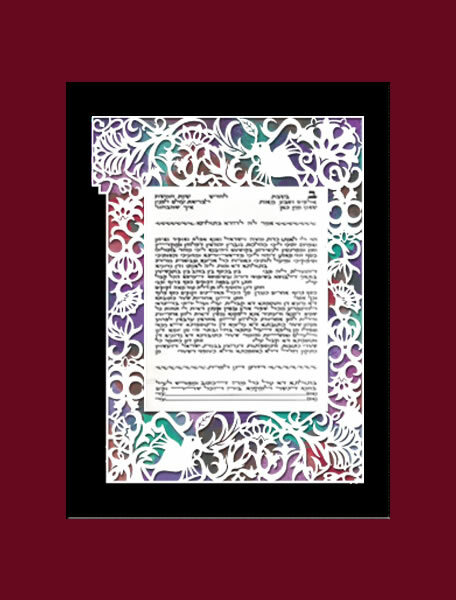 Category: Ketubah: Jewish Marriage Contract. 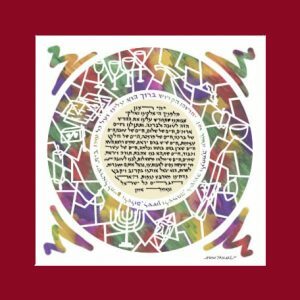 Tags: Garden of Eden, Hebrew papercuts, Israeli Ketubah art, Jewish Art, Jewish gift, Jewish Papercuts, Judaica, Ketubah, Marci Wiesel, Papercut Ketubah. This papercut ketubah design expresses blossoming and growth through its many exotic flowers and leaves. Among the flowers, two lovebirds spread their wings. 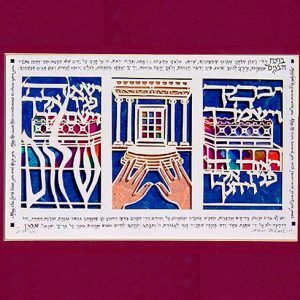 Papercut Judaica art by Marci Wiesel creates the perfect expression of love embodied in the marriage contract. 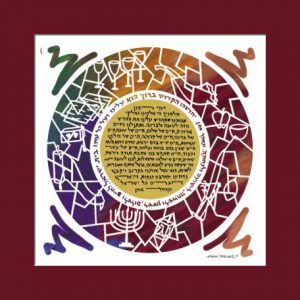 Enjoy Israeli ketubah art and a lasting expression of your love. 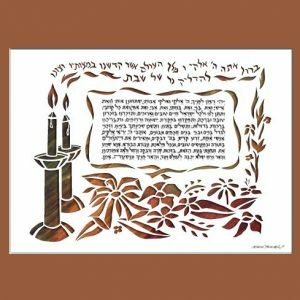 Hebrew papercuts create beautiful wall hangings.